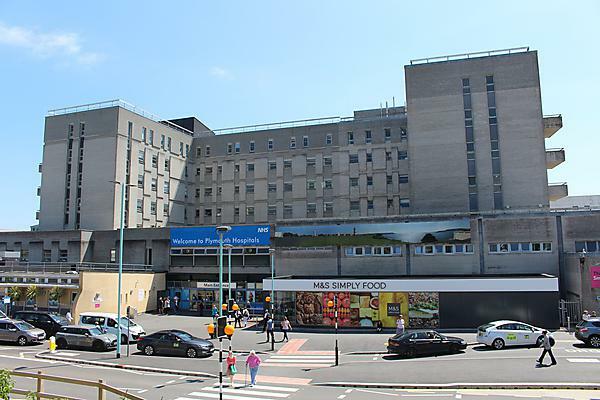 The Clinical School at University Hospitals Plymouth NHS Trust exists to promote evidence-based practice and clinically-focused non-medical research that enhances patient care. A partnership between the Trust and the University of Plymouth, the Clinical School encourages and supports nurses, midwives and other allied health professionals to look at their practice, challenge current thinking, try out new ideas and work out ways to measure what they're doing. Assist the transition of registered healthcare professionals to research leadership roles located within clinical settings. Timothy Murray, Nurse and Ward Manager. Evaluating health related quality of life outcomes and prevalence of post-traumatic stress disorder in survivors of critical care - Kate Tantam. Nurse-led weaning of acute non-invasive ventilation in patients with acute hypercapnic respiratory failure - Timothy Murray. Development and testing of a Patient Reported Measure for Emergency Department patients aged 65 and over (PREM-ED 65+) - Blair Graham, PhD student. Exploring patients’ and healthcare professionals’ experiences of patient‐witnessed resuscitation - Martina Fiori, PhD student. Evaluate the impact of peer assisted learning among undergraduate nursing students in the clinical environment - Matthew Carey, PhD student. Fiori M, Latour JM, Los F: Am I also going to die, doctor?" A systematic review of the impact of in-hospital patients witnessing a resuscitation of another patient. European Journal of Cardiovascular Nursing 2017;16(7):585-594. Albrich L, Latour JM, Hickson M: A qualitative exploration of the experiences of intensive care patients after transition to a ward as expressed in online discussion forums. Journal of Human Nutrition and Dietetics 2018;31(Suppl1):17-18. Carey MC, Chick A, Kent B, Latour JM: An exploration of peer-assisted learning in undergraduate nursing students in paediatric clinical settings: an ethnographic study. Nursing Education Today 2018;65:212-217. Fiori M, Endacott R, Latour JM: Exploring patients’ and healthcare professionals’ experiences of patient‐witnessed resuscitation: A qualitative study protocol. Journal of Advanced Nursing 2019;75(1):205-214. Carey MC, Kent B, Latour JM: Using meta-ethnography to develop a conceptual model of peer-assisted learning of nursing students in clinical practice. Nursing Open 2018;00:1–9. https://doi.org/10.1002/nop2.229.